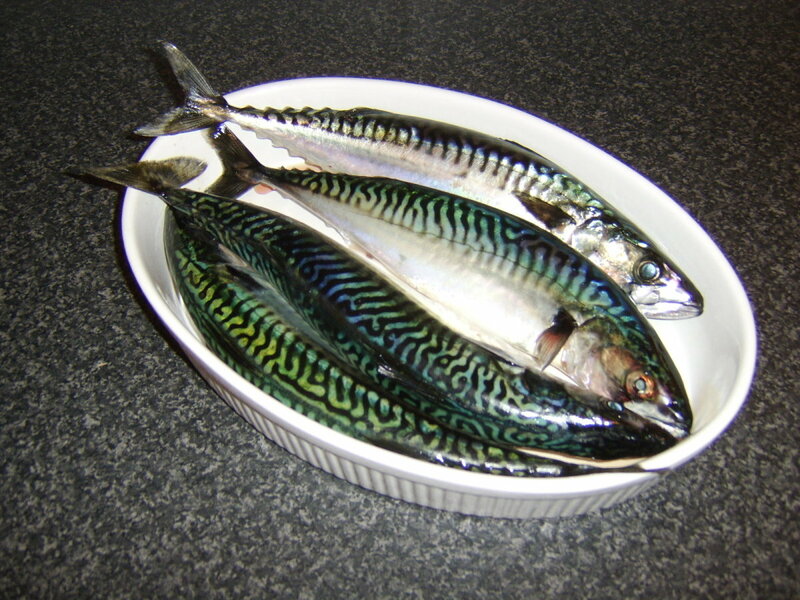 Mackerel is a fish that is common to seas and oceans around the world, in the form of several different sub-species. As line caught mackerel is presently deemed to be a sustainable fish in UK waters, this makes it an attractive option for consumers from an environmental perspective. 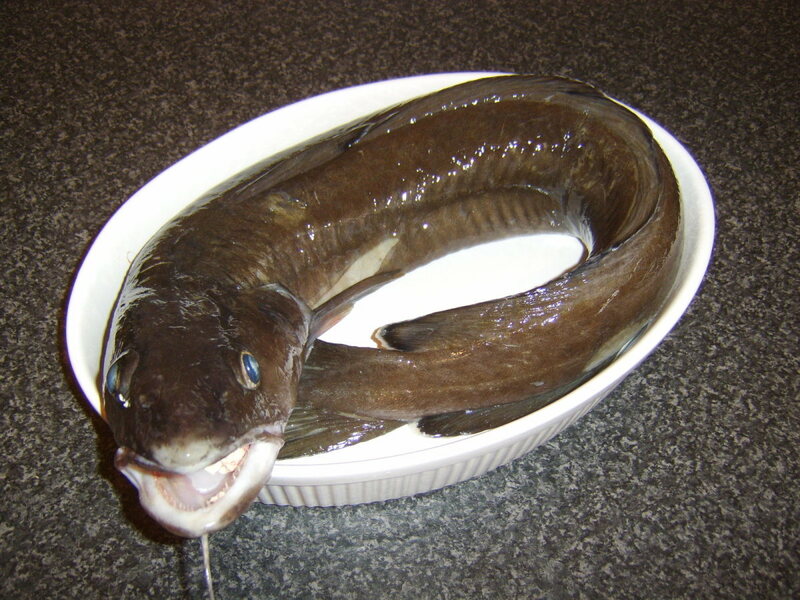 The fact that it's a fairly inexpensive fish to buy makes it equally appealing from an economic viewpoint. Add to this the fact that it's incredibly quick and easy to cook, it's absolutely delicious and it's packed full of vitamins and minerals of many different types (including heart healthy omega-3 fatty acids) and it's amazing that it's not more widely consumed. Do you presently eat fresh mackerel? One of the drawbacks of mackerel, however, (if there can indeed be such a thing) is that it spoils incredibly quickly, even by the standards of other fish. This means that to enjoy mackerel at its best, you really have to make a special effort to get it as fresh as possible. 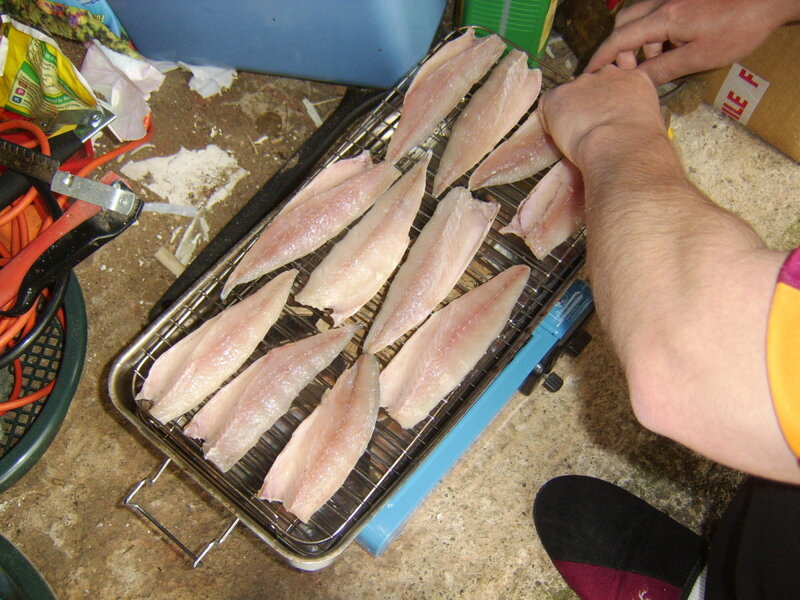 I thought I would show on this page, therefore, a real time look at how I went out on the boat and caught some mackerel, got them home, cleaned them and cooked them and had them on the plate in the shortest reasonable timescale possible. If mackerel fishing is something you do or something you are interested in trying, you may want to give some of these ideas a go. Leaving the house at 5am on a Sunday morning to go fishing may not be everyone's idea of fun, but whatever else it is, it's certainly a great way of avoiding traffic and crowds. From leaving our final pick up point in Lesmahagow, Lanarkshire, we reached Loch Etive in a couple of hours on what were virtually empty roads. Loch Etive is one of my favourite fishing destinations. It is a beautiful, unspoiled place at any time of the day or week. At shy of eight o'clock on a Sunday morning, you could be forgiven for thinking that you had stepped in to a different world. 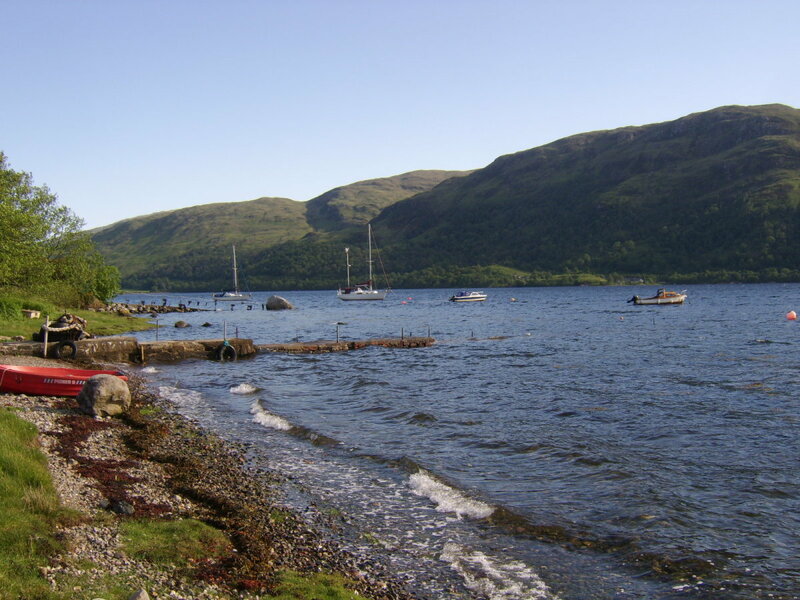 When the above picture was taken, three of us were about to board the yellow and white Taynuilt Fishing Club boat in the far right of the image for what we hoped would be a fruitful day's fishing in breathtaking surroundings. Mackerel fishing is often scorned by sea anglers and referred to as, "Mackerel bashing." This is mostly because of the fact that mackerel - where you happen to find a shoal - are incredibly easy to catch, with bare hooks often enough to tempt them to bite. They are therefore not seen as affording quality sport, even though - pound for pound - they are very tough fighting fish and will certainly give you some rod bending action. It is also partly due to the unfortunate and wholly inaccurate perception that mackerel is not a quality eating fish. Many sea fishermen will deliberately target mackerel only at the beginning of a trip, simply to use them as bait for bigger things throughout the remainder of the day. When I go fishing, I'm not remotely interested in catching anything that I can't later take ashore and eat. This means that I will frequently catch mackerel in the hunt for other species. 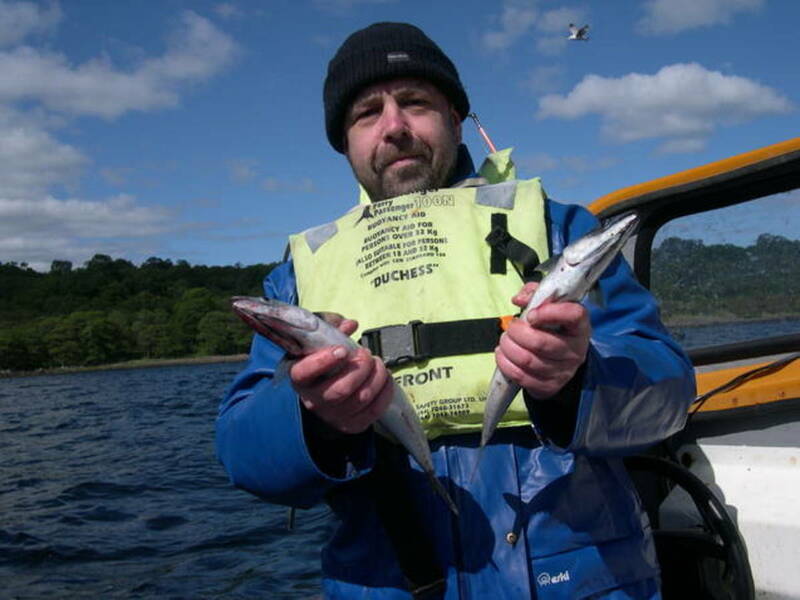 Although on this trip I also caught whiting and gurnard, only the mackerel were of keepable size and all remaining fish were returned alive to the loch, including the excess mackerel which I didn't need. When you get home from a day fishing trip like this one - especially when you've also spent several hours travelling - you are usually pretty tired. Unfortunately, it's likely you're still going to have a few tasks to perform. You need to hose down your rods and reels to get rid of the corrosive salt from the sea; any fish you have brought home may well still have to be cleaned; you will want a shower or a bath - and you are very possibly also going to be starving hungry! The last thing I could really face was spending an hour or more preparing, cooking and eating a meal. I wanted a quick, easy meal from one of my mackerel before I headed to bed. I had brought home six mackerel, two of which were carefully wrapped whole in plastic and frozen as a starter for bait on the next trip. That left me four to clean that night. Mackerel are very much scavengers in the sea. I decided therefore to scavenge the kitchen cupboards and fridge to see what I was going to prepare. 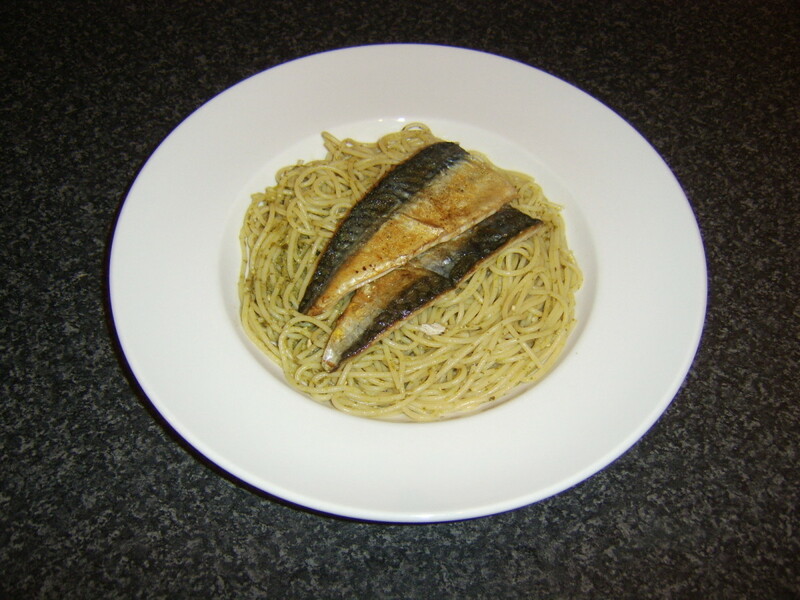 I quickly came up with the idea of spaghetti with green pesto sauce, topped by two pan fried mackerel fillets and freshly chopped basil. Strange combination...or is it? I decided to fillet all of these mackerel. When you have filleted them, you will be able to feel how firm and fresh the flesh is, compared to supermarket or fishmonger bought mackerel fillets. You could instead, of course, simply gut the fish and bake, poach or pan fry them whole. 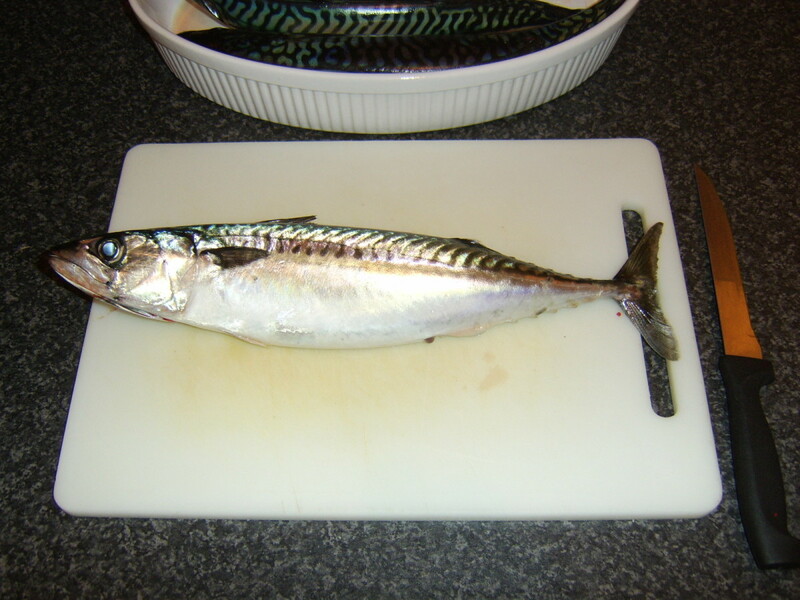 Lay the mackerel on its side on a chopping board. 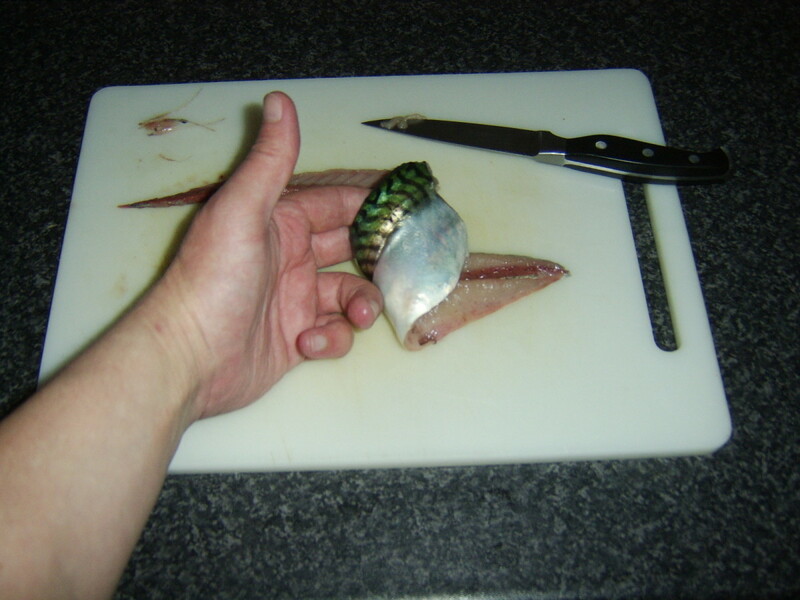 Take a proper filleting knife (the flexibility of the blade is essential) and make an incision behind the pectoral fin, all the way through to the bone, angled slightly towards the head. 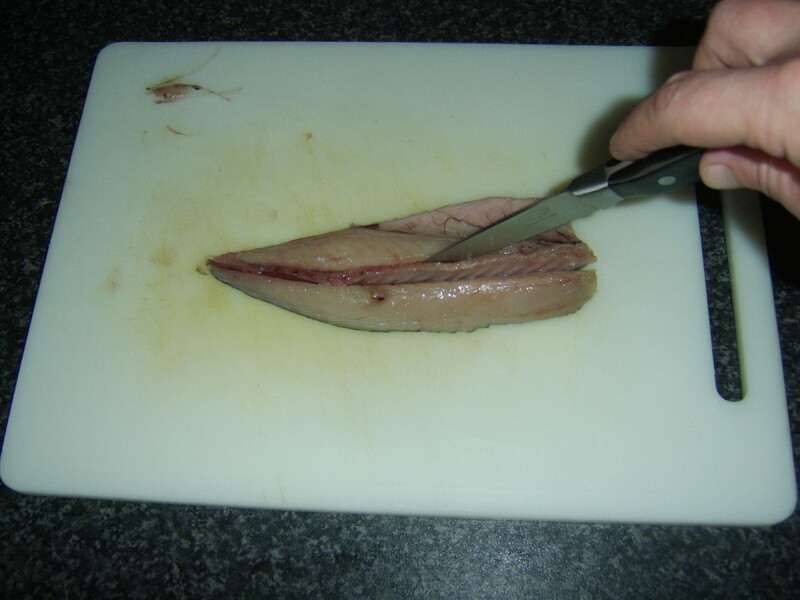 Turn the knife (still embedded in the fish) that it is facing towards the tail of the mackerel and by employing a backwards and forwards motion, slice all the way along the bone and remove fillet number one. You should then turn the fish over and do exactly the same again on the second side. The larger bones over what was the stomach cavity will often lift easily free. You should also peel away the dark skin covering this part of the fillet. You may find it easier to swap knives at this point and use one with a short, sturdy blade but this is not essential. There will be a ridge of bone running down the centre of each fillet. This should be cut out in a "V" shape, taking care not to cut through the skin. 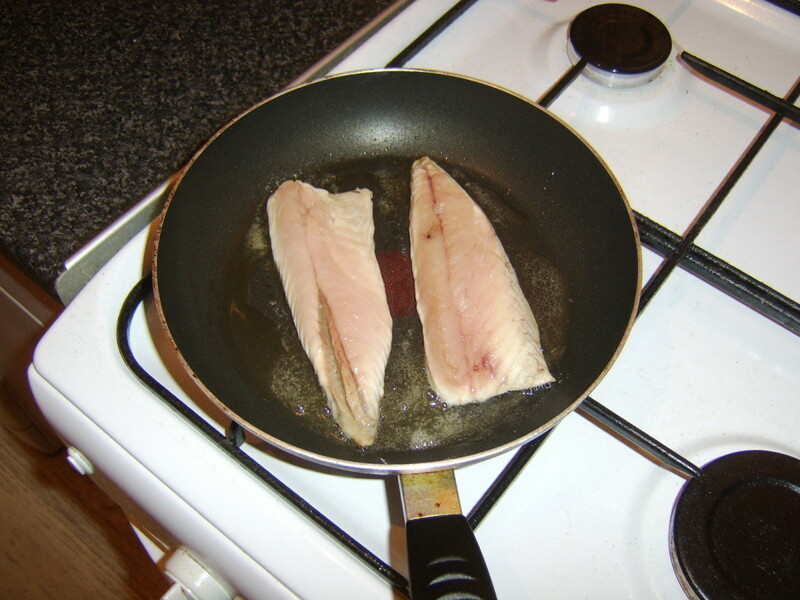 Wash the fillets carefully in a bowl of cold water. Don't rinse them under running water as this can damage the incredibly delicate flesh. Pat them carefully dry with kitchen paper. Any fillets which you are not using immediately should be stored in a plastic container in the fridge. They will keep pristine for up to 24 hours but remember to use them as soon as possible to enjoy them at their best. The Mediterranean diet - and perhaps specifically the Italian diet - is one of the healthiest in the world. Pasta, sun ripened fresh vegetables, olive oil and perhaps the clincher: fresh seafood, simply cooked. This apparently unorthodox dish contains most of those elements and, although made up on the spur of the moment, it was absolutely delicious. Bring a large pot of well salted water to a rolling boil and add the spaghetti. It should be simmered for ten minutes. Scatter the flour on a plate and season with salt and pepper. 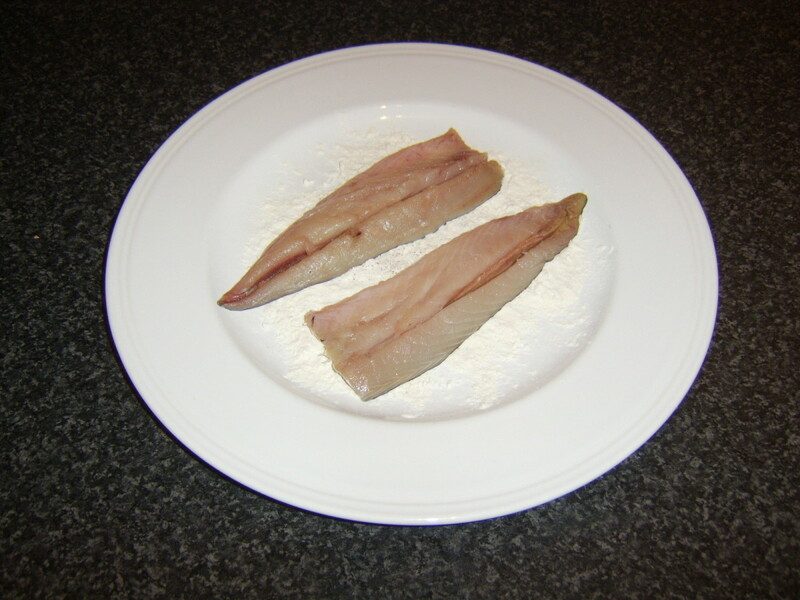 Pat the mackerel fillets in the flour on their skin sides only and gently shake off any excess. Drizzle some olive oil in a frying pan and bring up to a medium to high heat. 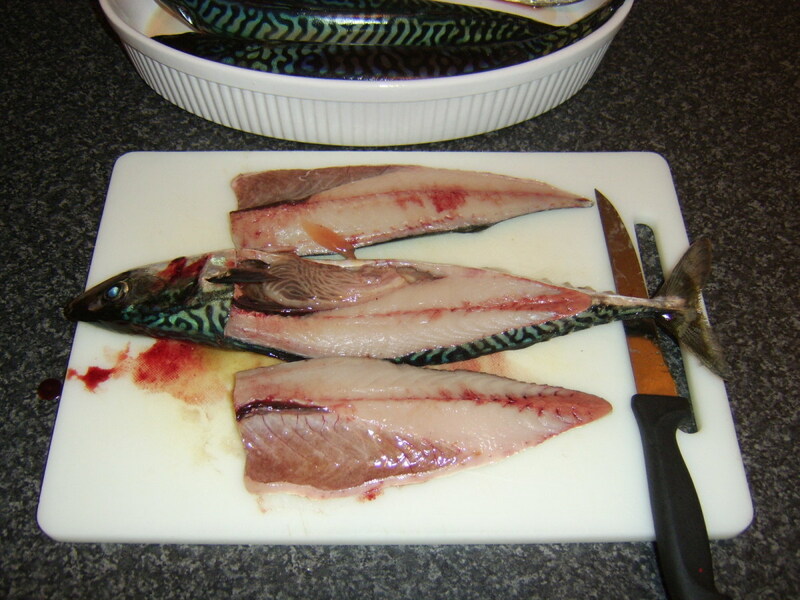 Lay the mackerel fillets in the pan on their skin sides. Season the flesh sides lightly with salt and pepper. After two or three minutes, you will see that the fillets are almost cooked through. At this point, reduce the heat to low and turn the fillets to complete cooking on their flesh sides for one minute only. 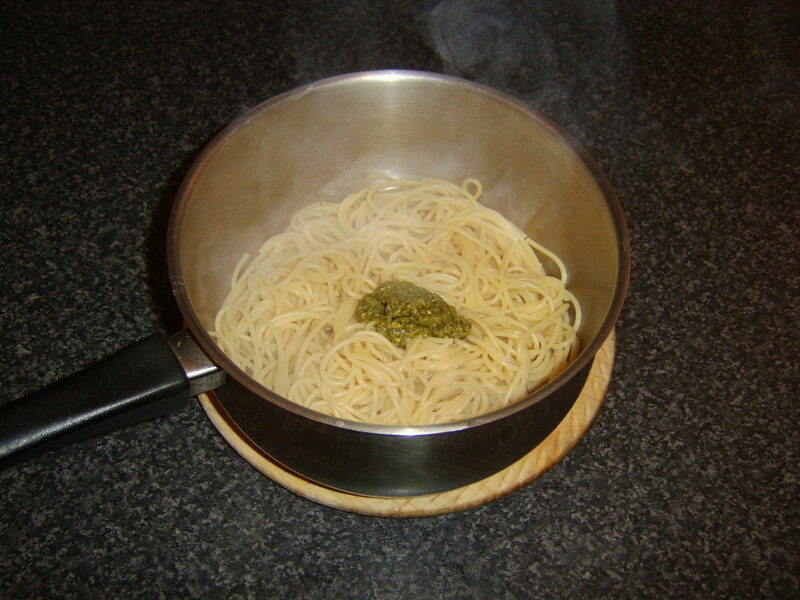 Drain the spaghetti through a colander and return it to the empty pot. 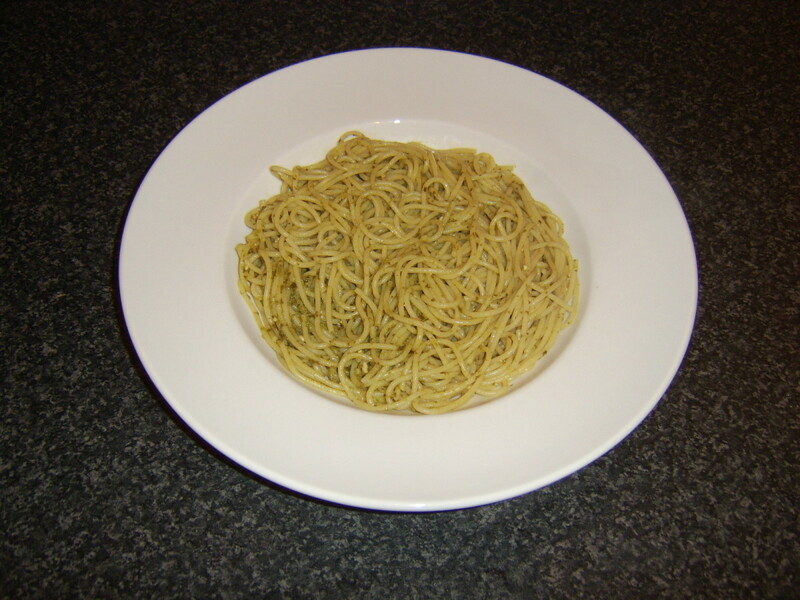 Stir in the green pesto sauce and pour on to a plate. 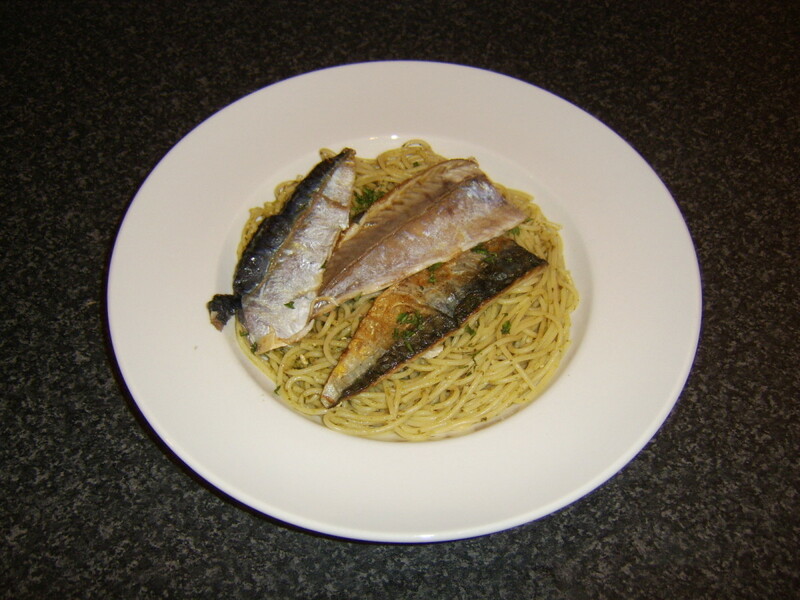 Lay the mackerel fillets on the spaghetti, skin sides up, and scatter over the basil. 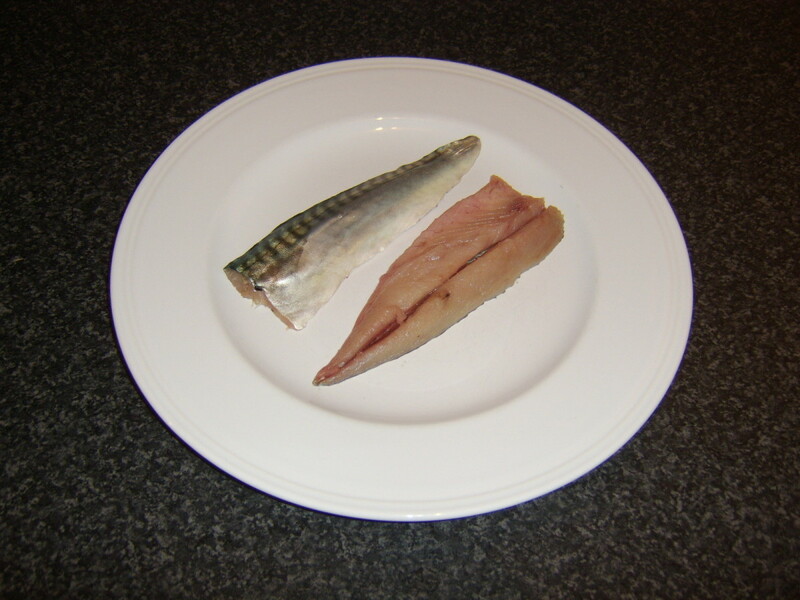 Note that the mackerel skin is very thin and should ideally be eaten for the greatest level of nutritional value from this dish. If you particularly don't want to eat the skin, however, you will find that the flouring process has caused it to nicely crisp and it will very easily peel away in one whole piece. 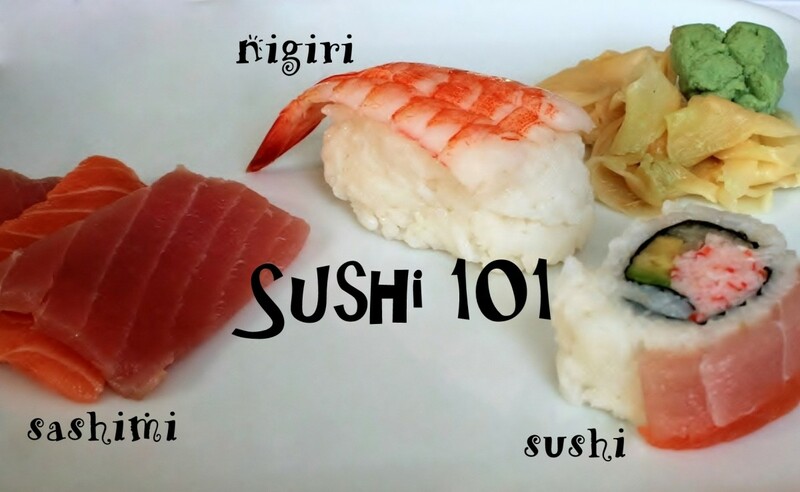 If you are like me, you could eat fresh fish for just about every meal. I don't as a rule but with these fresh mackerel fillets available, lunch and dinner on this day both consisted of mackerel. The remaining fillets were gifted to grateful and appreciative neighbours. 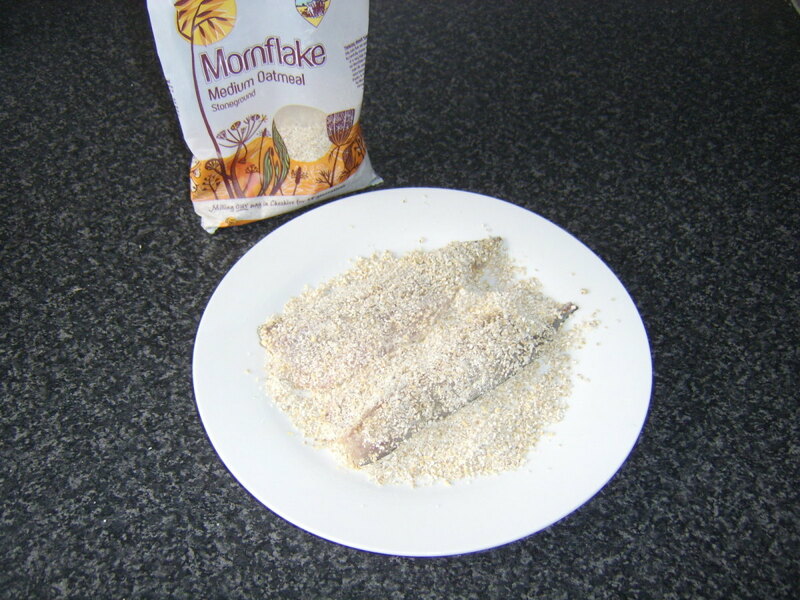 Oatmeal adds a surprisingly tasty, additional crunch to mackerel fillets. 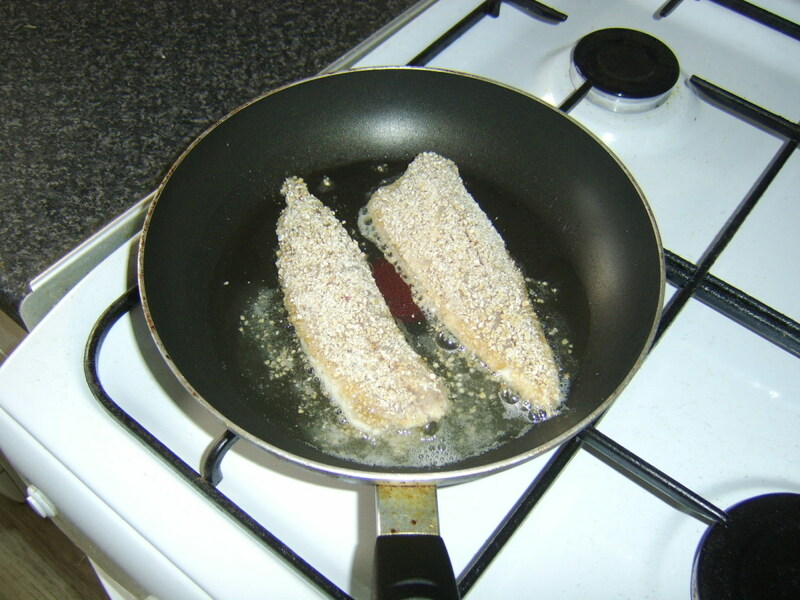 Although normally applied to herring, the concept of frying mackerel in oatmeal works equally well. It is only the requirement to boil the potatoes which means this recipe takes a little bit longer to prepare. Wash the potatoes and add them to a pot of salted water. Bring the water to a boil and simmer for about twenty-five minutes until they are soft. About ten minutes before the potatoes are due to be ready, pour a little vegetable oil in to a frying pan and put it on a medium heat. 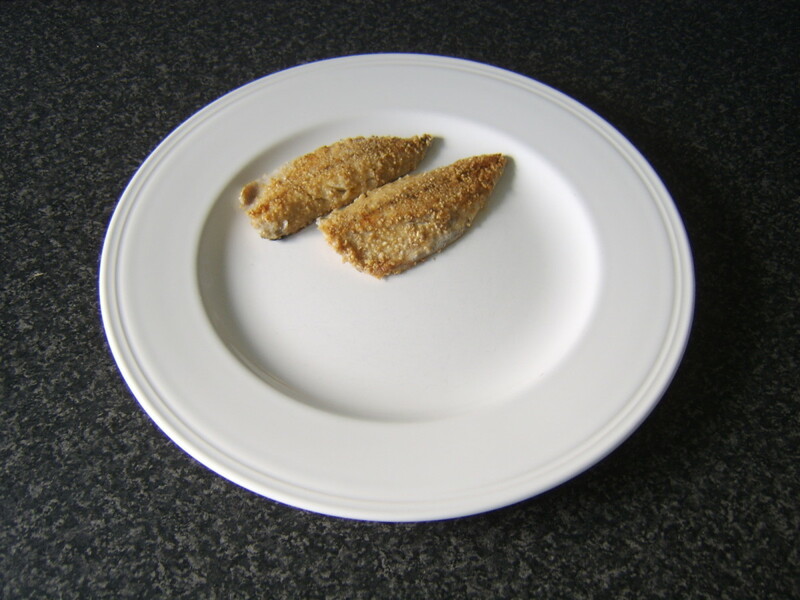 Scatter the oatmeal on a dinner plate and pat the mackerel fillets in it on both sides to fully and evenly coat. 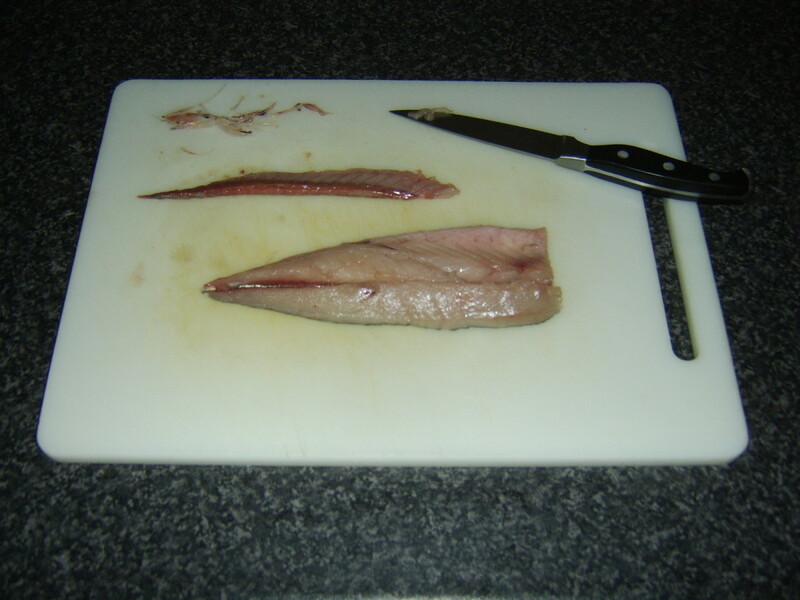 Fry the mackerel fillets for two to three minutes each side, depending upon their size, until done. The peas should be added to boiling water for three minutes, or according to the instructions on the packet. Drain the potatoes and put them back in the pot with the butter and chopped mint. Gently swirl to combine. 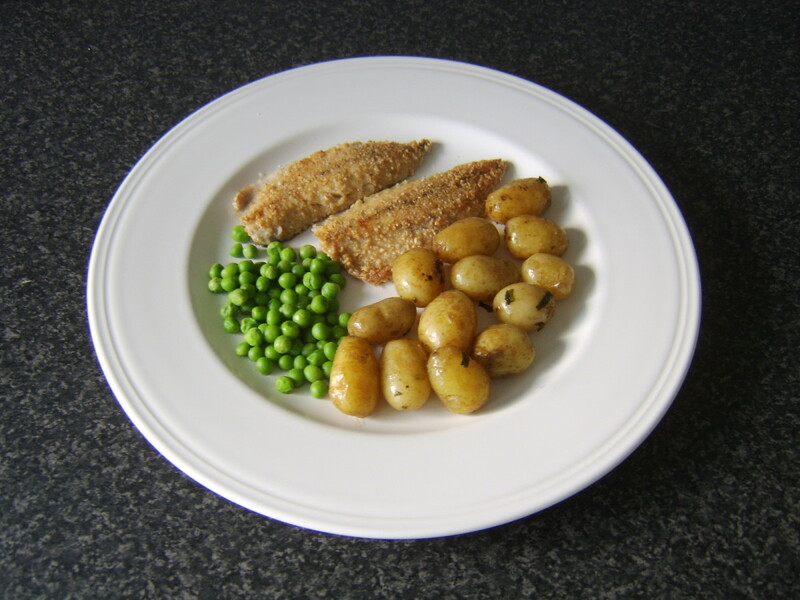 Plate the mackerel fillets with the potatoes and peas alongside and serve. 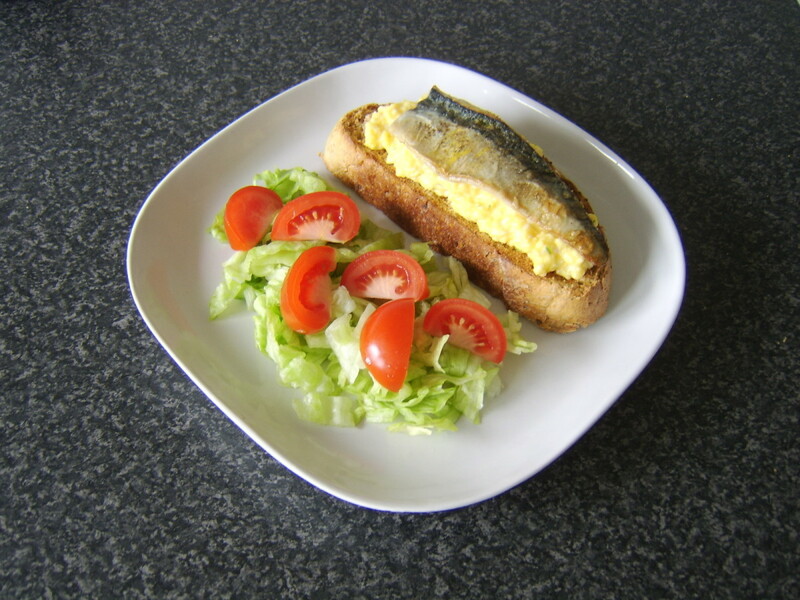 This is another recipe which may raise a few eyebrows - fried mackerel and scrambled egg? 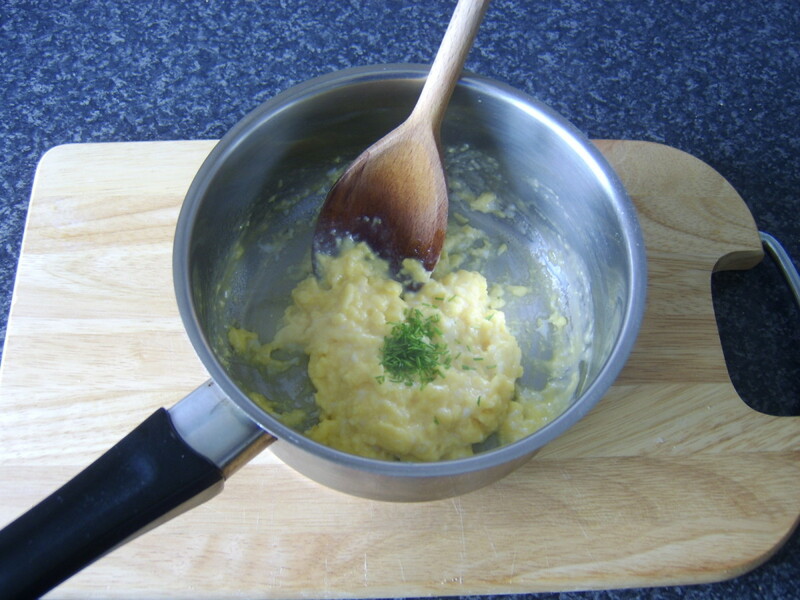 Remember, though, one of the more popular additions to scrambled egg is smoked salmon, so fish and scrambled egg is a well established combination. This recipe came about when I was unexpectedly and gratefully gifted with six fresh farm eggs on the way home from the fishing trip. 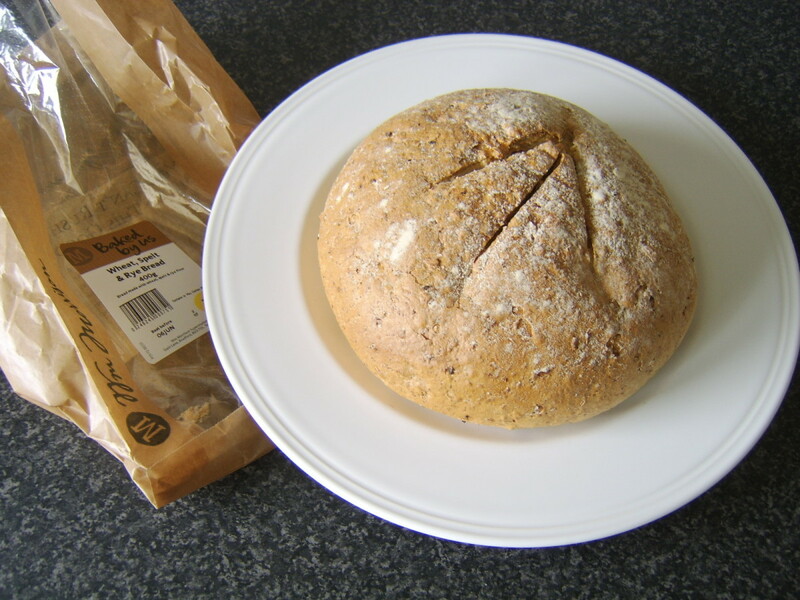 I bought the bread the following day at the supermarket and if you are wondering what spelt is, it is an ancient type of wheat which has been cultivated as food for several thousand years but unfortunately seems to be little known today. This was the best bread I have tasted in a long time and fresh farm eggs certainly take scrambled eggs to a new level. 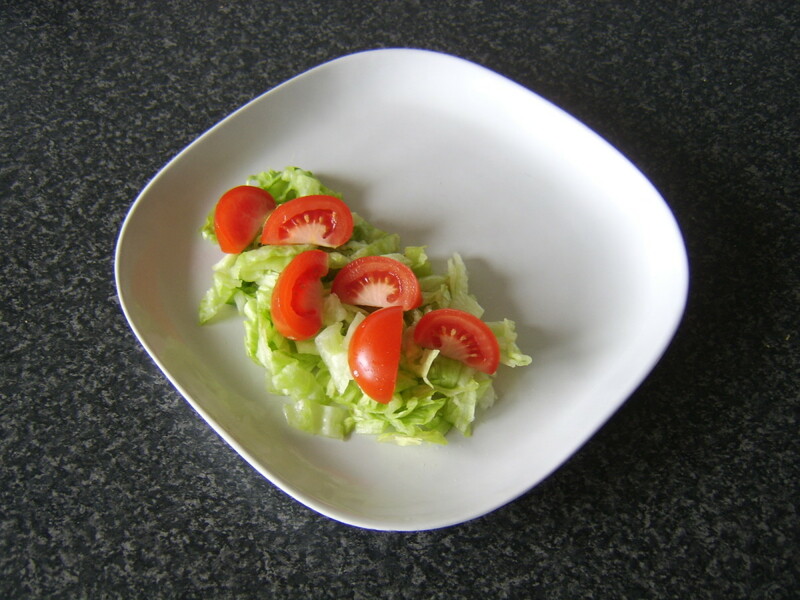 It's a good idea here to begin by preparing and plating your salad. Once those eggs hit the pan, they require your full attention at all times. 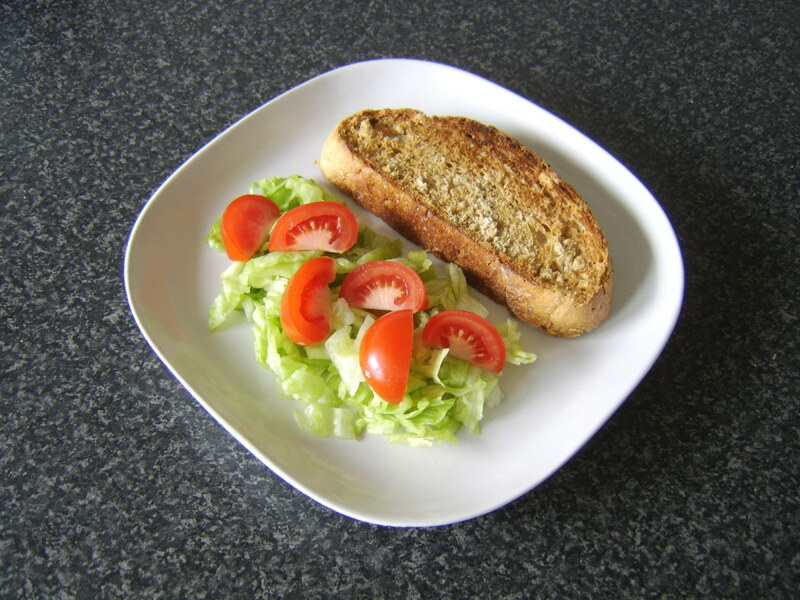 Simply wash and shred the lettuce and lay it on one half of a square plate. Season. Chop the tomato in to six segments and lay them on top of the lettuce. 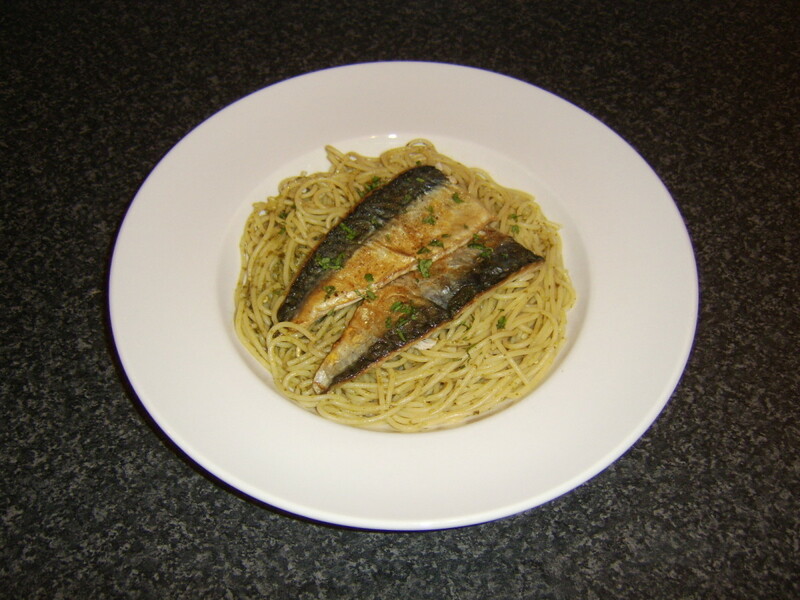 The mackerel fillet is prepared exactly the same way as in the spaghetti recipe above, with one minor exception. 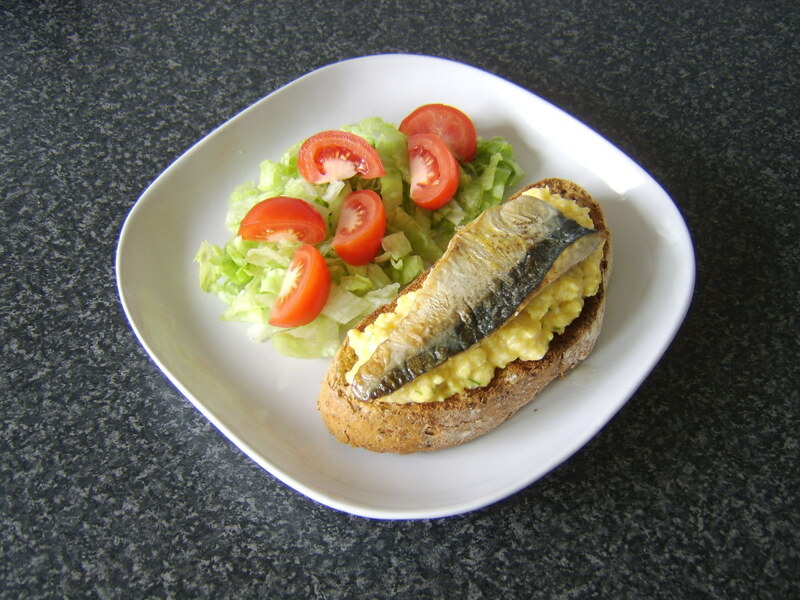 To ensure the eggs have your full attention, when the mackerel fillet is ready to be turned, switch the heat off completely. Turn the fillet and allow it to complete cooking more slowly in the residual heat only. It will be fine for the two or three minutes required to scramble the eggs. 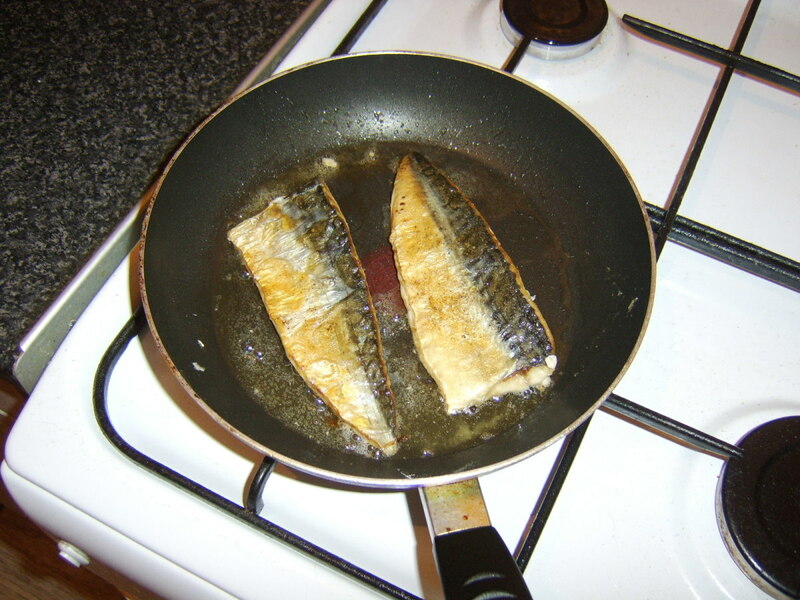 The eggs can be broken in to a small pot or saucepan while the mackerel is frying on its skin side. Add the butter to the pan but don't season at this stage. 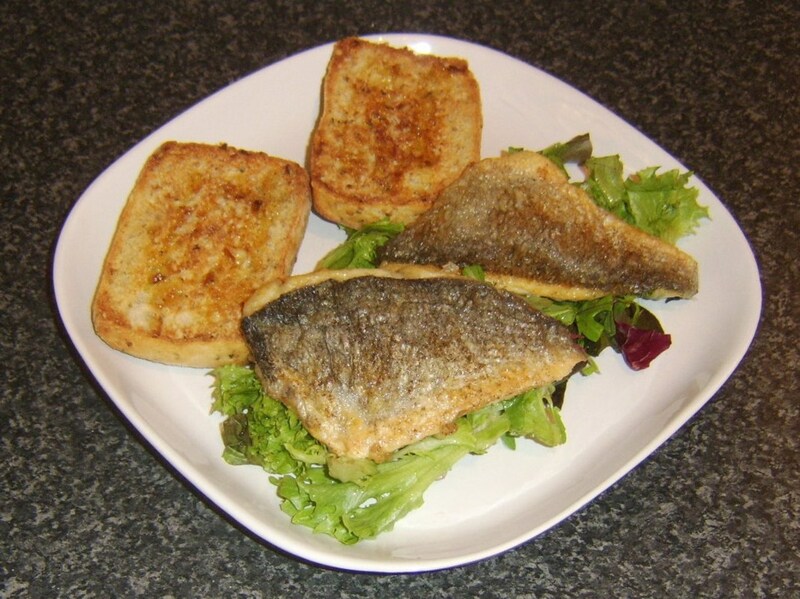 Put your bread on to toast just before you turn the mackerel. 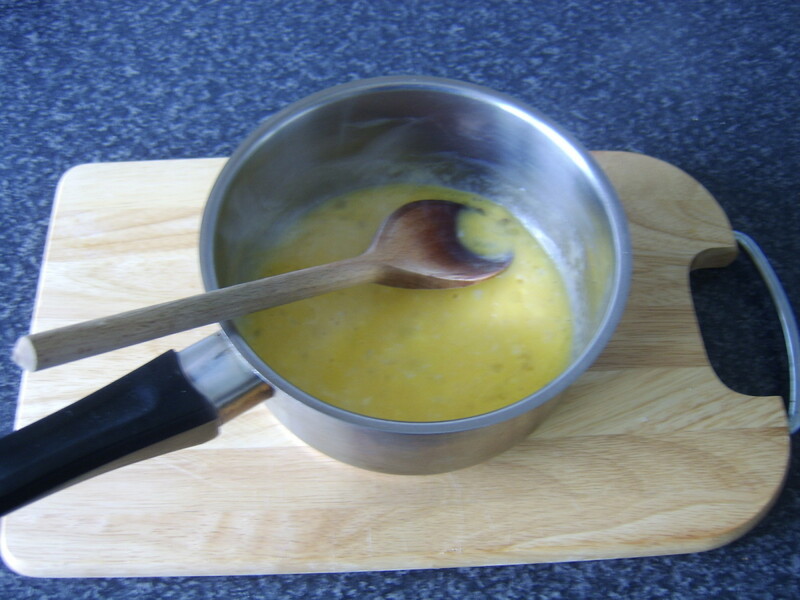 Put the eggs over a medium heat when you've turned the mackerel and begin scrambling them with a wooden spoon or plastic spatula. Don't use a metal cooking implement. You need to work them constantly, all the way through cooking. 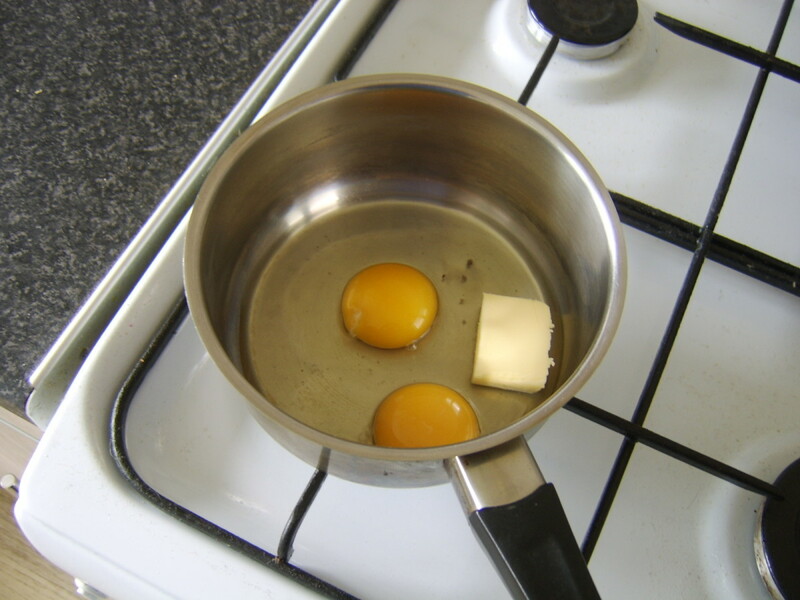 As the eggs start to cook, remove them from the heat but continue working them with the spoon. Put them on and off the heat two or three times in this way, to prevent them over-cooking. When the eggs are done, remove from the heat for the final time and season with salt, pepper and the chopped chives. 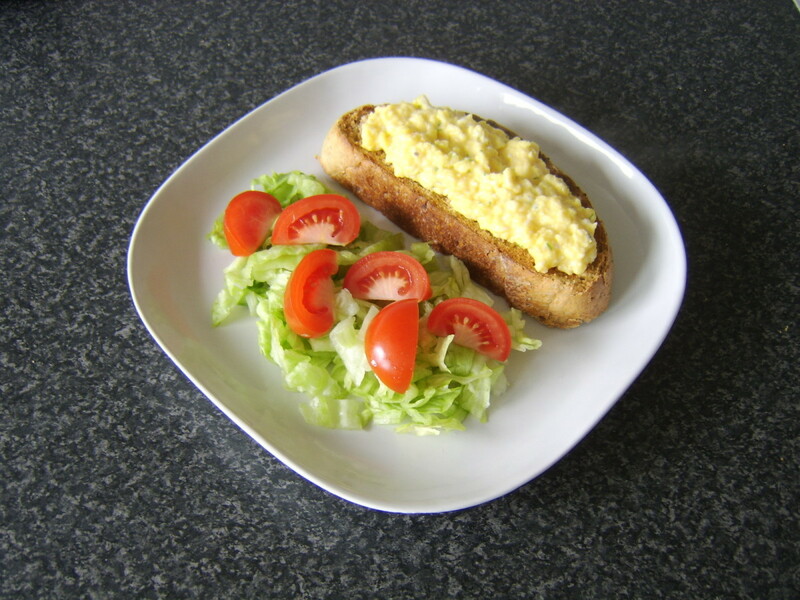 Lay the toast on the plate beside the salad and carefully spoon on the scrambled eggs. Lay the mackerel fillet on top, skin side up. Once again, the skin can easily be peeled free if you wish. 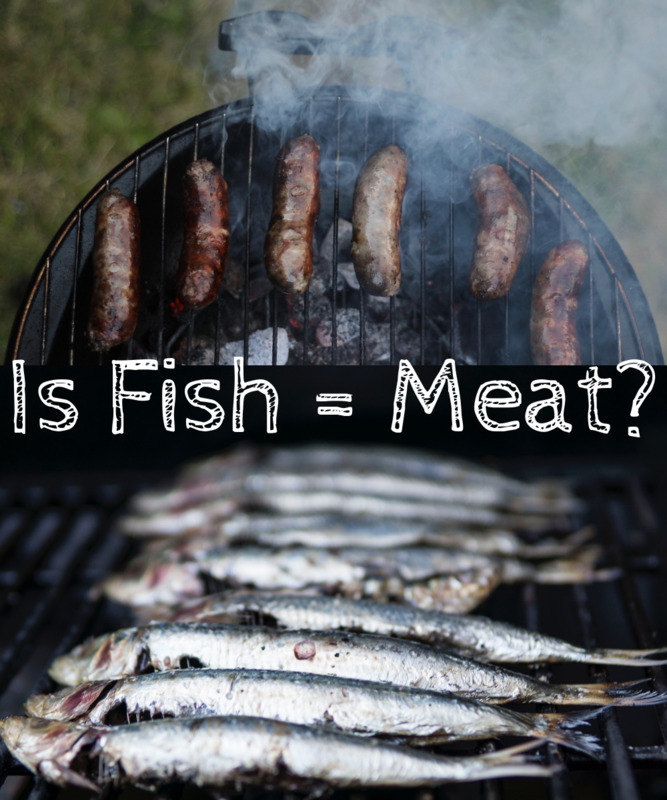 If you answered no to the question at the top of this page regarding whether you eat mackerel, are you now going to change your mind and give it a try? I think Holy Mackerel is a fantastic name for a mackerel dish! Wish I'd thought of it. I'd love to see you publish your version and what it consisted of. Glad you liked these ideas and thanks for stopping by to let me know. Hope you continue to enjoy this great eating fish. 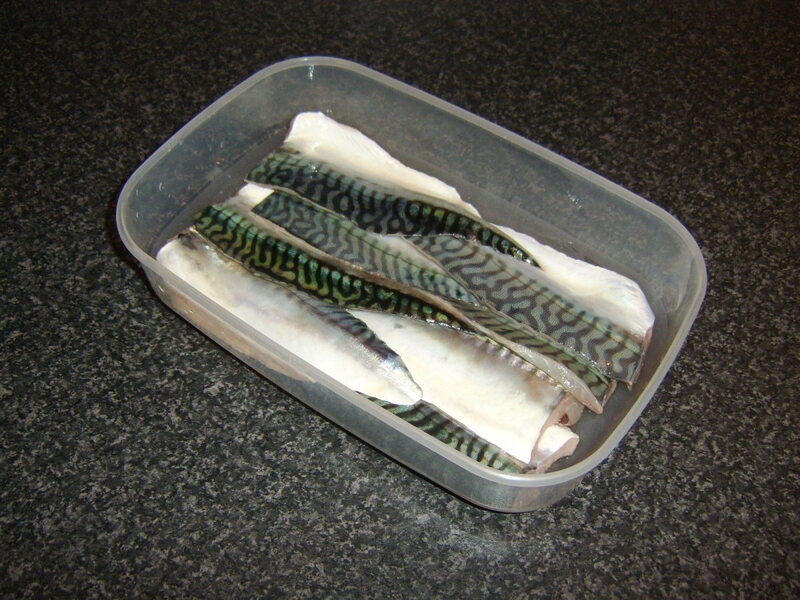 Some time back I put together a mackerel dish for our "Redneck's Kitchen." Named it "Holy Mackerel" in respect to that expletive-like expression. But, in comparison with what I have just finished studying here, that recipe does not stand a chance to beat them out. Also - the photos were great good fun, too. Hi, Purple Perl and thanks. I hope this does encourage people to take advantage of mackerel and enjoy them as much as I regularly do. This hub is excellent for any first timer of all things mackeral! Especially, the neat filleting. Voted up and useful,Gordon. Thank you very much, ktrapp. I'm sorry you don't like fish and hope you will continue to try it until you find one that you like. 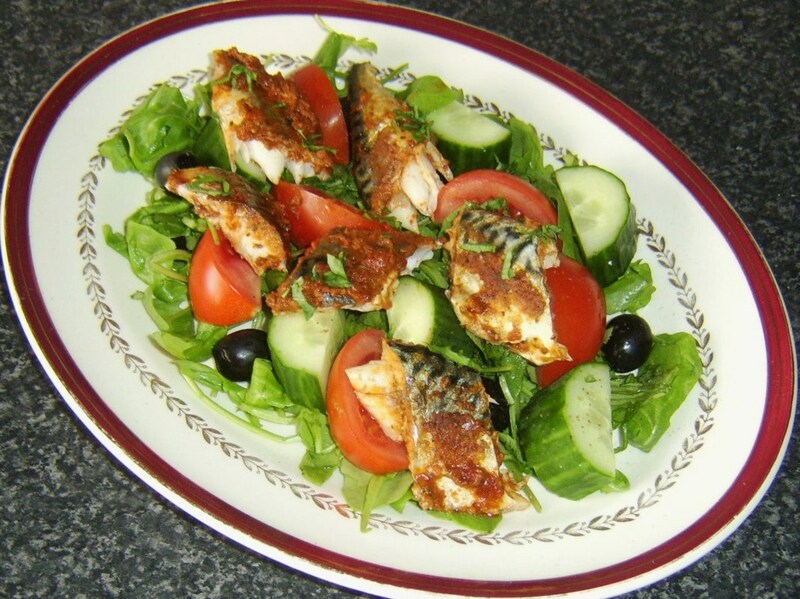 Mackerel is a good example of a fish that is very different from other popular types of fish, so if it is something you have access to but have never tried, I hope you'll give it a go. What a wonderful recipe hub. It makes me wish I ate fish; I just never developed a taste for it. But I wanted to congratulate you on a well-deserved win in the recipe contest. 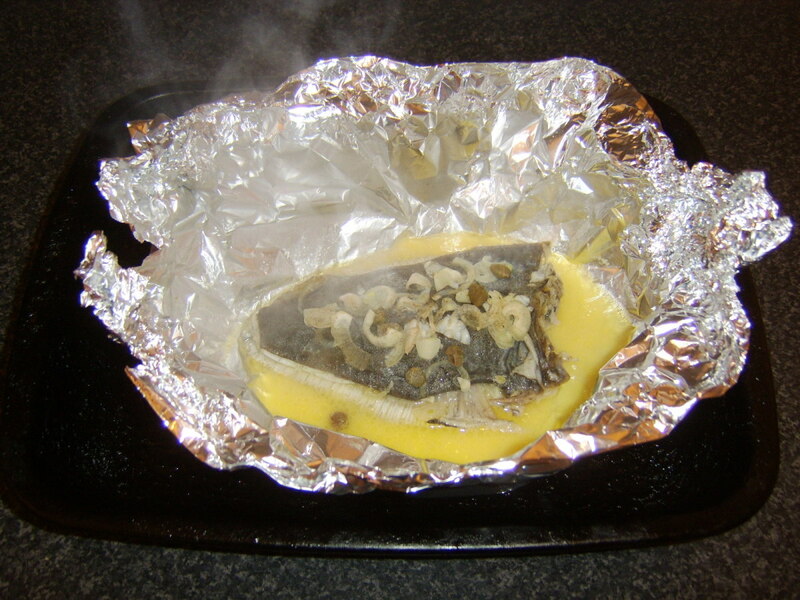 Your photos are just terrific and I love how you presented several recipe options for the mackerel. Maybe you'll just turn me into a seafood eater yet. Hello, Good Lady. That sounds like a truly perfect breakfast and one I know I would enjoy. The simpler the better is definitely the way to go with mackerel. Thanks for visitng and commenting and I hope you get to enjoy some mackerel soon. Just fantastic! It's our favorite fish. 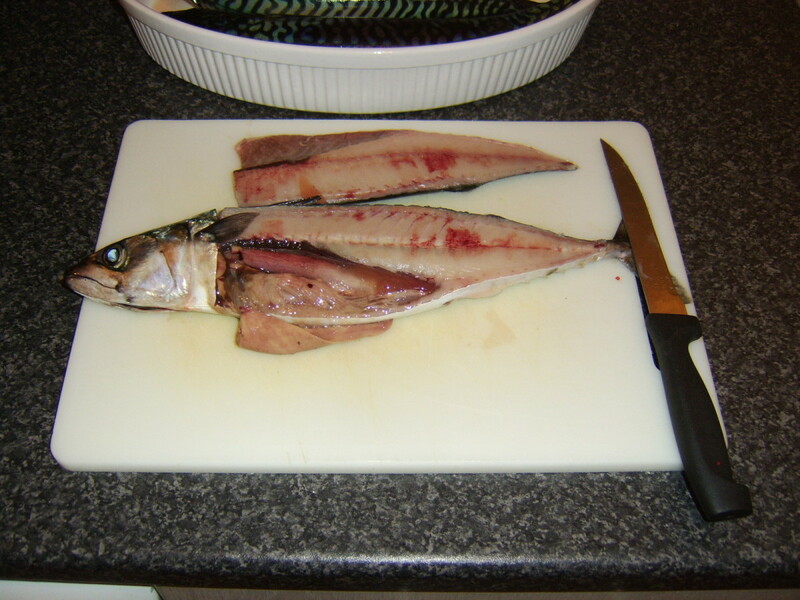 My grandfather used to bring us mackerel for breakfast in north Wales when i was growing up. He got to us for about 7 (after his hours out in his little fishing boat) and my mum just fried them in salt and pepper and it's still one of the best meals I've ever had. LOVED your wonderful hub and ideas. This is a fantastic hub! Congrats on winning! Thank you very much Simone - mackerel is a huge eating favourite of mine, especially when I have had the pleasure of being out in the boat catching it and cooking it super fresh as with these creations. I often shake my head in wonder at the number of regular fish eaters who so under-rate it. Holy mackerel! Your food Hubs are just divine, Gordon. Absolutely love this. The recipes look top notch, and your photos and tips are as great as ever. Voted up, useful, and awesome! Thanks very much, LaThing. Good that you're a fellow mackerel fan. Hope you enjoy it cooked in this different way. The is a stunning hub, beautifully laid out with ravishing dishes! Growing up we ate lot of mackerels, since it was one of my mother's favorite fish. The one with baby potatoes, and peas looks great. 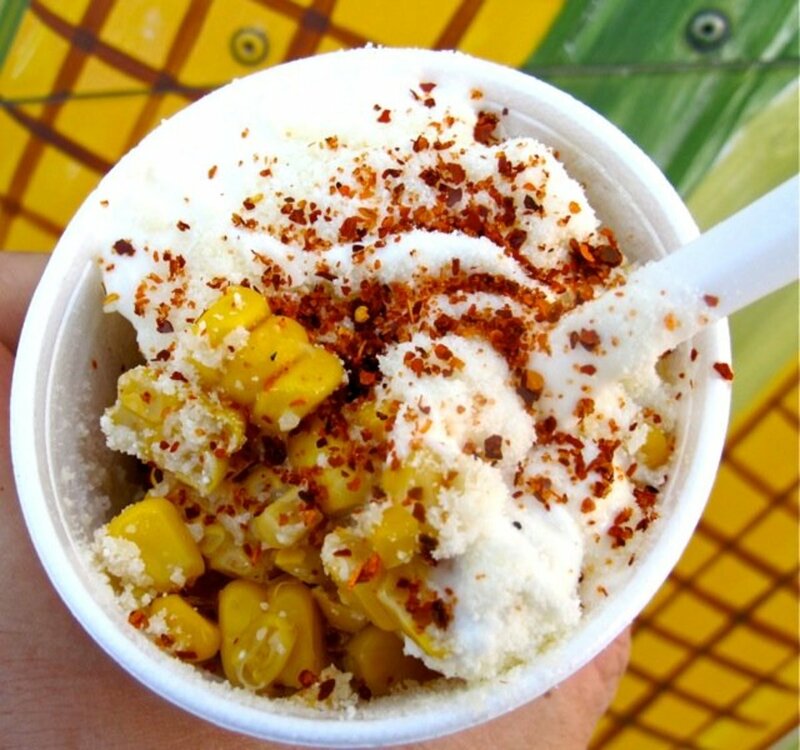 Will be trying it soon.